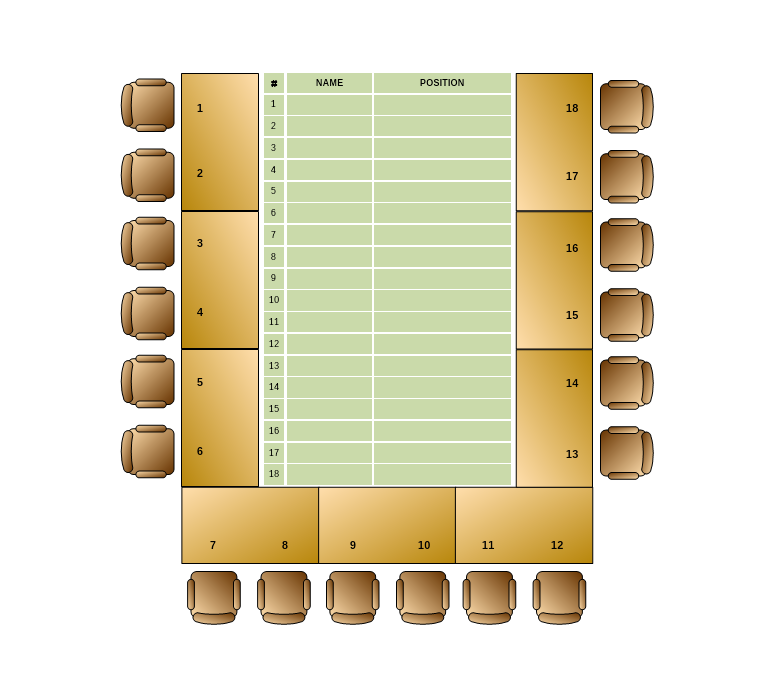 The management board seating chart allows you to have the full list of each person in the room including their name and work position. We all know how important this information might be when hosting the management board meeting. To avoid any possible complications download this free template and edit it in Nevron Draw so it meets your personal and professional demands.